The event started with the formal Inaugural function at 9.30a.m on Saturday, 15th September 2018 in R-Block, Seminar Hall. 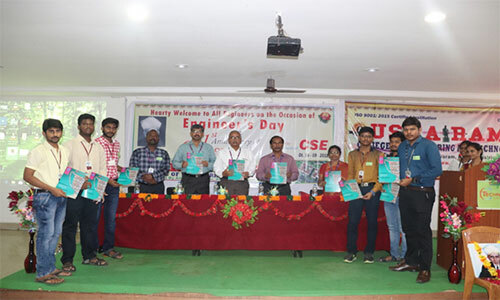 Dr K.Rajasekhara Rao - Director,URCET, Dr.GVKSV Prasad Principal URCET ,Dr.BN Srinivas Rao - Director R&D , Dr.A.Madhan Mohan Rao, Vice Principal URCET, Dr.S.M.Roychoudri- HOD/CSE,URCET were present on the dias. The function started with Prayer Song, followed by the welcome speech given by Dr.KPNV Satyasree- Coordinator, TECHNOZOLA. The Association launched 1st year Magazine for TECHNOZOLA. Association report was given by HoD of CSE, followed by presidential address given by Director, Principal and Vice Principal. Vote of thanks given by the student Chairman followed by tea. 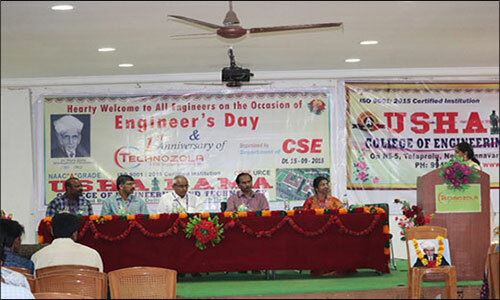 All technical events conducted in different dates of CSE department in various rooms. 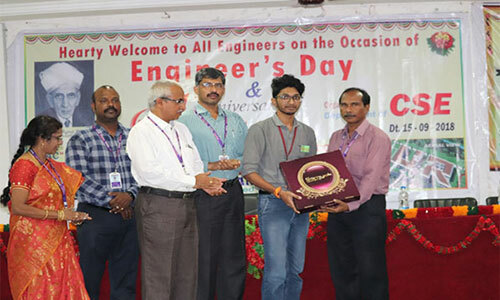 Students from II / III / IV year's computer science participated. We have total count of 150 students registered for different events and in particularly we have 35 students in Reverse Coding and 140 students for KNOW YOUR PC . The Association launched 1st year Magazine for TECHNOZOLA and it is also published in ISSUU: Digital Publishing for Magazine publications as e-journal. All events were completed by 4pm with the winners list. 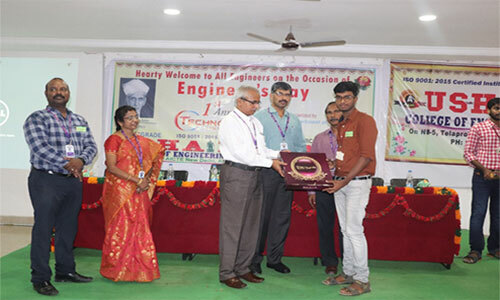 Valedictory function started at 12.30pm with Director Dr.K.Rajasekara Rao and Dr.GVKSV Prasad -Principal , Dr.A.Madhan Mohan Rao Vice Principal as a guest. Students from different sections shared their experience about TECHNOZOLA 2K18 followed by Prize Distribution for winner's. We gave the Digital Clocks as prizes for 1st prize and Electronic Clock for 2nd prize for technical events. The function was finally ended by thanking management, Principal, HOD, Faculties, Non-teaching staff, and all student coordinators who worked for this event to make this event a grand success. The Association launched 1st year Magazine for TECHNOZOLA and it is also published in ISSUU: Digital Publishing for Magazine publications as e-journal.